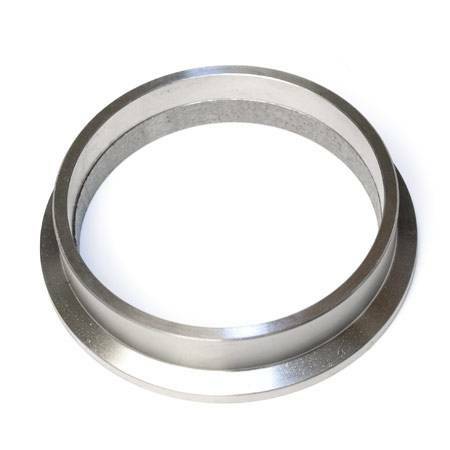 3 Inch V-Band flange (3.75 Inch Outer Diameter). Machined from 304 Stainless Steel. Designed for 3 Inch diameter pipes. Compatible with Garrett Turbine Housings with a 3 inch V-Band Flange (3.75" Outer Diameter), including T04 based turbine housings.